This guide to buying gemstones online gives general advice for when you want to start buying gemstones online. For advice on specific gemstones you should take a look at the various gemstone buying guides attached to pages focused on a single gemstone. Gemstones and gemstone jewelry are very exciting products. Nothing is easier than being able to buy gemstones online and have them delivered to your doorstep without leaving your home. However there are gemstone dealers who might take advantage of you if you let them. You can avoid expensive mistakes by using the following simple advice. Even when you have done all your homework before buying a gemstone online. It is still best to start with a cheaper stone. Just to make sure you’re not only getting the gemstone you paid for, but high quality service as well. Only start buying expensive gemstones after this very important step! One of the best payment methods is PayPal. Not only because it is easy to use, but also because of their incredible buyers protection. When you buy your gemstone online and it’s not delivered or the description does not match the gemstone you received. You can open a dispute through Paypal. Once a gemstone sale is disputed you and the dealer you bought your gemstone from have to resolve the conflict within 20 days. If your claim is not resolved to your satisfaction Paypal will investigate the claim. Be assured they will rule in your favor if you have a reasonable claim. Another great option is paying with a credit card. If the product is not as advertised and the merchant is not willing to cooperate, you can always issue a charge-back. If your complaint is legitimate you’ll be refunded in almost all cases. Even better; in many cases even the threat of a charge-back is enough to get things rolling. This is because a charge-back is costly for the merchant, usually $25+ each. On top of that it can also cause them to lose their merchant account entirely, if enough charge-backs are filed. 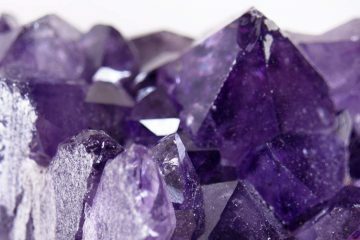 Try to use Paypal or a credit card at every site when you buy gemstones online. Only use a different payment form if you are absolutely sure you are in good hands. Amazon.com is a respected online seller where you can buy loose gemstones as well as buy gemstone jewelry. Their selection is incredibly large: currently there are over 20,000 loose gemstones for sale and over 190,000 gemstone items in total. The price range offered is unlike any other site as well, starting at just under a dollar and going all the way up to over $500,000 for a single diamond ring! The gemstone and jewelry department works with independent sellers. So the advice given earlier matters here as well. You have to make sure the online gemstone store is a reputable seller. However the advantage is that Amazon does screen their sellers. Usually they will intervene if you have any problems. Though there certainly are highly reputable sellers active on eBay. There seems to be a small (and growing) number of sellers who deliver sub-par gemstones and/or service. 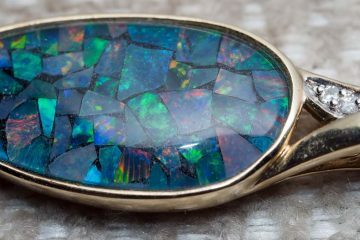 For more information on this subject please take a look at this article that explains why you should stay away from eBay when buying gemstones. Make sure you check the comments of a seller that has gemstones for sale. Here you can see the amount of gemstones that the seller has sold and what the average buyer thinks of the products and service. Still, in general you will be better off by shopping at Amazon or an independent merchant. 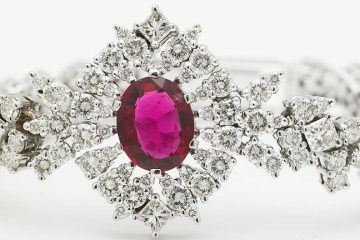 Although gemstone certification from a gemological institute is quite costly (starting at around $50 and going up from there for larger precious stones). They are vital when you want to buy gems online. Because only then can you be certain that you are getting the gemstone you desire and paid for. Of course you shouldn’t expect a $50 gemstone to carry its own certificate, but once you start talking about thousands of dollars it is a must to buy a certified gemstone. Some of the most renowned gemological institutes are the GIA and AGS who only document the gemstone properties. The IGI, EGL and IGL are renowned institutes who not only document gemstone properties but appraise them as well. So look for these abbreviations when you buy your gems online. So what do you do when you’ve bought a gemstone online and you have reason to doubt it’s genuine. One option is to approach a local jeweler who can either appraise the stone himself or has contacts that are able to. You might get charged for the service if you’re not a (regular) customer, or they might take the opportunity to try to make you a loyal customer and do it for free. 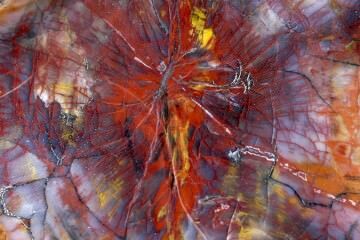 If it is a larger precious stone it is best to send it to one of the gemological institutes mentioned above under “The Importance of Certification”. They have the expertise required to properly document these large stones, while your local jeweler might not. If it turns out the gemstone is not as advertised, the first thing you should do is check if you fall under buyers protection. If you do the second step is to make it a formal dispute so the site can help you with your complaint. If you don’t fall under any protection you should contact the seller. If they are not willing to cooperate I would dispute the charges at Paypal or your credit card company depending on what payment method you used. This is just a general guide to buying gemstones online. You should make sure you know what common pitfalls there are when buying a certain gemstone. You can find out several of those pitfalls in the articles focusing on individual gemstones. For example amber, moissanite, sphalerite and aquamarine. Hopefully this guide has helped you feel more at ease when you buy your gemstones online. The incredible selection and lower cost offer great opportunities to those who take some precautions. If you have any questions or need advice before purchasing a gemstone or piece of jewelry, don’t hesitate to contact us.